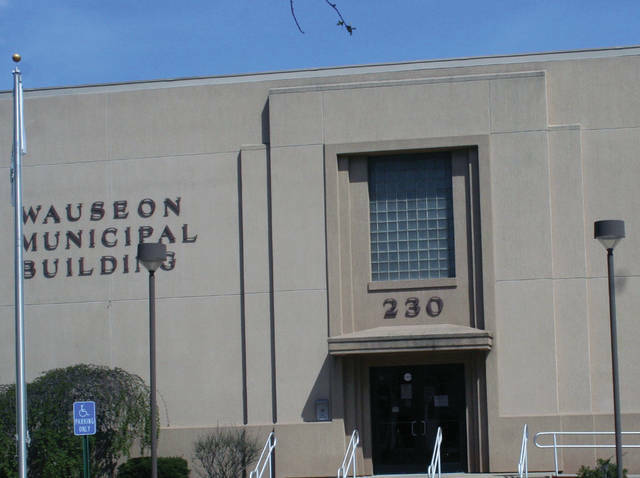 Wauseon City Council on Monday followed its regular business agenda with an enthusiastic discussion of the city’s new pool which opened earlier in the day. The actual dedication has been delayed until June 12 so that several minor adjustments to the pool and pool building can be made. But Mayor Kathy Huner told Council how, in her excitement, she visited the pool area three times on Monday. In other business, Scott Stiriz reported the Safety and Code Committee met May 7, and took a complaint from a citizen about juveniles riding dirt bikes in woods behind his neighborhood. The citizen said the entire neighborhood is “under a film of dust and the noise is constant” due to the bikes which cross private property he and his neighbors own. He said the city police department approved area for the bike riders because those properties are under an easement allowing them to ride there. Mayor Kathy Huner suggested the citizen and his neighbors place “No Trespassing” signs in the area, so that dirt bike riders can be charged with trespassing if they continue. The committee also heard from a citizen who complained that his Razor utility vehicle did not pass inspection as street legal from the police department, which labeled it a slow moving vehicle. The citizen said the vehicle is street legal under city ordinance because it has a bed for hauling items. He said he needs the vehicle on city streets for business needs. Police Chief Keith Torbet, who attended the meeting, said the Razor doesn’t qualify as a utility vehicle. But he said he’s in favor of updating the city ordinance to include those type vehicles, but only for city residents and businesses within the city that require them. Law Director Tom McWatters III, who attended the meeting, said he’ll redraft the city legislation but with conditions. He said vehicles already licensed with be included through a grandfather clause. The Finance Committee reported it approved a $9,500 Economic Impact Study for the city by Bowling Green State University. The study will determine whether the city would benefit from the construction of four new athletic fields in Dorothy B. Biddle Park. The university offered two quotes for the study: $8,000 for a study offering analysis of only the economic impact on the city; and $9,500 for a study that would also include surveys conducted of tournament attendees concerning the amount of money they spend while attending. Council President Jeff Stiriz, who attended, noted it is less costly to the city to pay for the study rather than just build the athletic fields and hope for positive economic results. Finance Director Jamie Giguere reported that a new city phone system would cost $2,800 plus approximately $2,500 to include equipment the city would find necessary to install. Giguere said the city’s current phone system is obsolete. • Police Chief Keith Torbet said the annual Police Youth Academy began Monday. Ten signed up. The 40th annual Safety City program has registered 52 preschoolers. Torbet said the program is $2,000 short of its goal to pay for the program. “If we hit the goal we don’t have to worry about raising the fee,” which has stood for years at $20, he said. He also reported that the department will begin tagging junked and abandoned vehicles in the city. He said residents who know of such vehicles should contact the department and report them. Torbet also reminded motorists that the school year has ended and the new city pool has opened. “Take it slower, and watch out for the kiddoes,” he said. • Fire Chief Rick Sluder said the department received approval to conduct a control burn for training purposes on Sunday, June 24, at a residence at 1325 N. Shoop Ave. He said traffic in the area will be passable but there will be lane closures. • Finance Director Jamie Giguere said city income tax revenue at the end of May was negative three percent over the same time last year. • The first reading of an ordinance authorizing the mayor to enter into a participatory agreement with the Ohio Department of Transportation to resurface U.S. 20A, from 800 feet east of State Route 108 to State Route 109, and to resurface State Route 2 from Clinton Street to U.S. 20A. • The third reading of a resolution authorizing the mayor to enter into a participation agreement for energy purchasing programs through the Ohio Municipal League. The resolution will take effect in 30 days.